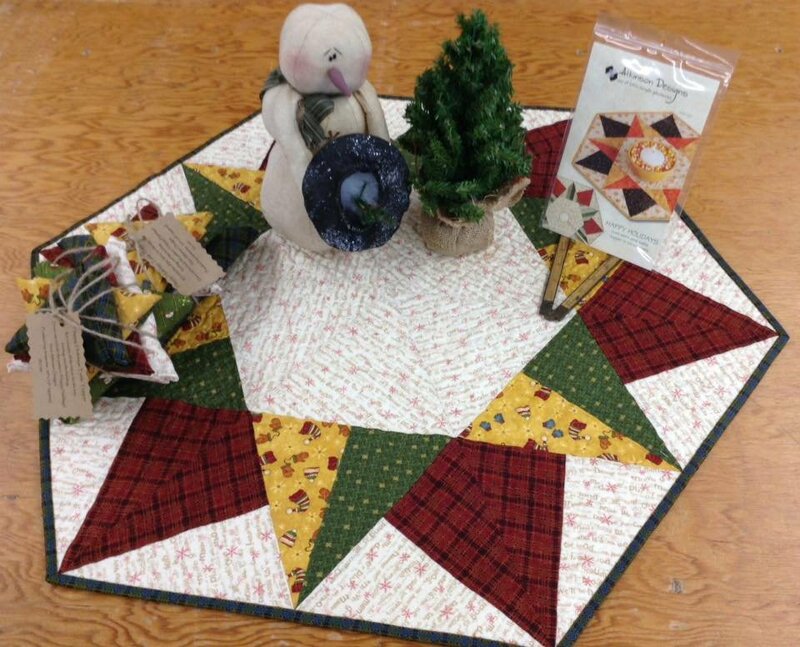 This is the medium Table Topper using the pattern "Happy Holidays" from Atkinson Designs. Terry uses an easy method that turns simple rectangles into stunning triangles. Kit includes all the fabric for the top including the backing and the binding. The kit does not include the pattern "Happy Holidays"
Finished Table Topper measures approx: 30" x 35"